With high winds overnight, a nearby crane on Lennox Street has caused Bridge Road to be temporarily closed between Church Street and Punt Road. First Baby Born at Epworth Geelong! Congratulation to Hamlyn Heights parents Sally and Ben Sanderson on the birth of Kit Gregory Sanderson, delivered by Obstetrician Dr Karl Najjar in the early hours of Sunday morning. Epworth Geelong provides a premium, private maternity service for Greater Geelong. We’re excited to share our new video, which provides insight into the maternity services and facilities available for women and their babies. The maternity service at Epworth Geelong will soon commence, as we welcome four obstetricians to the hospital. Have you heard the joke about hospital food? Sadly, hospital food has often been derided over the years for being overcooked, lukewarm and unappetising. But in a first for Geelong, Epworth Geelong’s food service has been given a massive make-over that has raised the bar from hospital to restaurant level quality and service. Geelong’s new Epworth Hospital has dramatically redesigned how hospitals supply meals to patients, taking on a personalised, world-class approach. 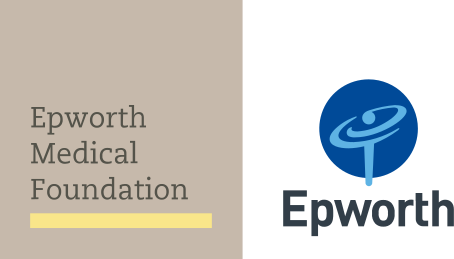 Epworth Geelong recently held its very first Category 1 GP education event — a symposium on common medical emergencies — opened by Epworth Geelong CEO Damian. At 9.20am on 23 August, Epworth Geelong Emergency Department saw its 500th patient since opening on 4 July. “Since seeing our first patient literally as we opened our doors, patients with broken bones, suspected heart attacks, concussion, and many other ailments and conditions have opted to come to the new ED in Waurn Ponds”, said Dr Matt Ryan, Director of Emergency Medicine at Epworth Geelong. Come and take a look inside the new South West Regional Cancer Centre (SWRCC) before it opens to patients for treatment. The Peter’s Project Foundation, together with Epworth HealthCare and South West Healthcare, are delighted to invite you and the South West Victorian community to the SWRCC community open day. Epworth Geelong — the $277 million hospital on Pigdons Road Waurn Ponds — is open and welcoming its first patients. Approximately 350 staff are on-site, ready to deliver patient care and adding some finishing touches to the 172 private inpatient rooms. Apurpose-designed emergency department is open from 8am till midnight and operating theatres are booked. Greg Lane is the Principal at St Mary’s Primary School at Swan Hill. Matt Ryan, Director of Emergency Medicine at Epworth Geelong talks about the upcoming opening of Geelong’s new Emergency Department in Waurn Ponds. Geelong local Damian Armour (pictured) was appointed to the position of CEO of Epworth Geelong in early 2014. Damian’s proven capability and many years of achievements at Epworth, together with his strong links to the Geelong community, positioned him ideally for this role. The Federal Minister for Health, the Hon. Sussan Ley today joined Epworth Geelong in a symbolic ‘topping out’ event, as Brookfield Multiplex workers at reached its highest point on level 7. Minister Ley said Epworth’s reputation for excellence will be a major boost to health services in the rapidly-growing Geelong and SW region. “This $12million Australian Government commitment to the construction of the high quality complex care unit will provide the community of Geelong and surrounding areas with access to closer to home,” Ms Ley said. The Geelong Advertiser proudly shows the first media photos of Epworth Geelong—the region’s newest asset which expects to employ 400 people when it opens in July. View the article and photos. Geelong’s shiny new hospital is another step closer to admitting patients, following the handover of the key from builders Brookfield Multiplex to Epworth HealthCare on Friday 15 April 2016. The $277 million, 262 bed state-of-the-art hospital on Pigdons Road Waurn Ponds, has been under construction since April 2014 and will now be fitted out by the Epworth Geelong team in preparation for a mid-year opening.